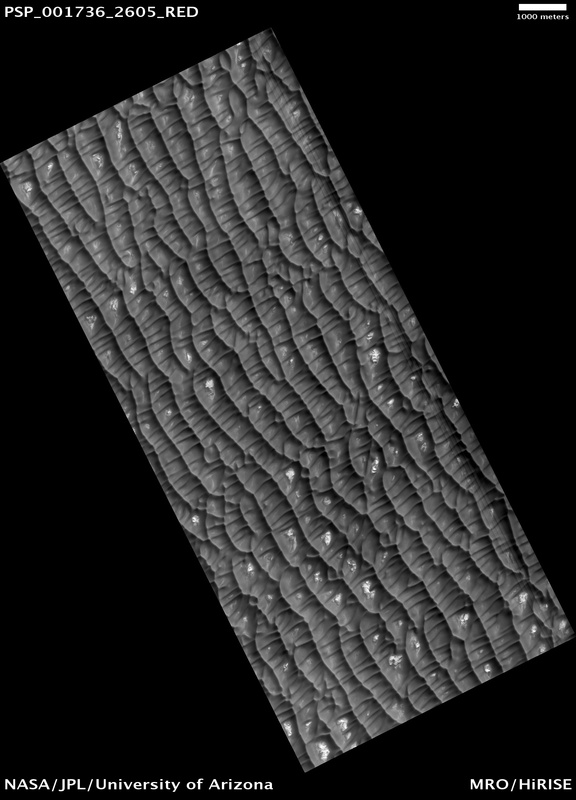 This observation shows dark dunes and light polygonal terrain in Olympia Undae, also known as the North Polar Erg. 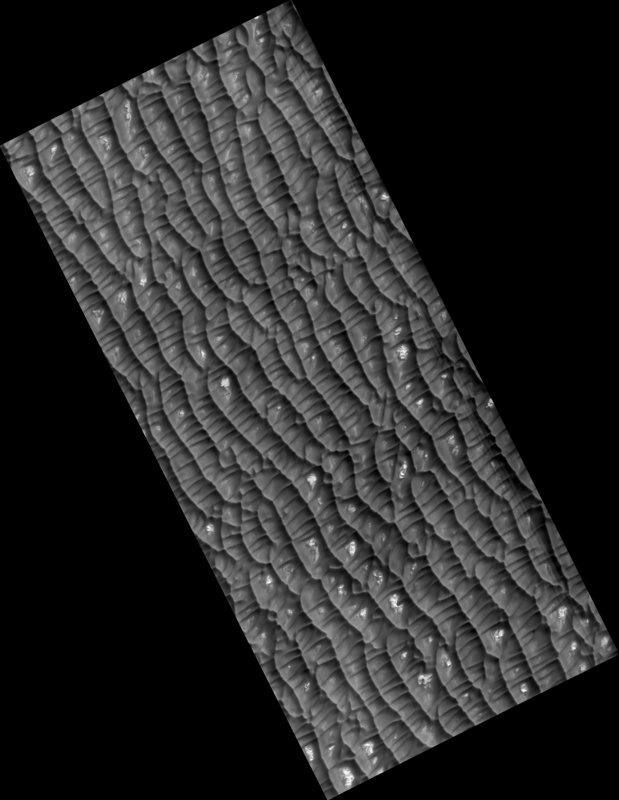 Two sets of dunes are obvious. The major set trends North-South, indicating winds from the East or West. Between the crests of these dunes is a second set oriented mostly East-West. Zooming in on the dunes, a rippled texture is apparent, probably due to redistribution of sand at the scale of meters and less. 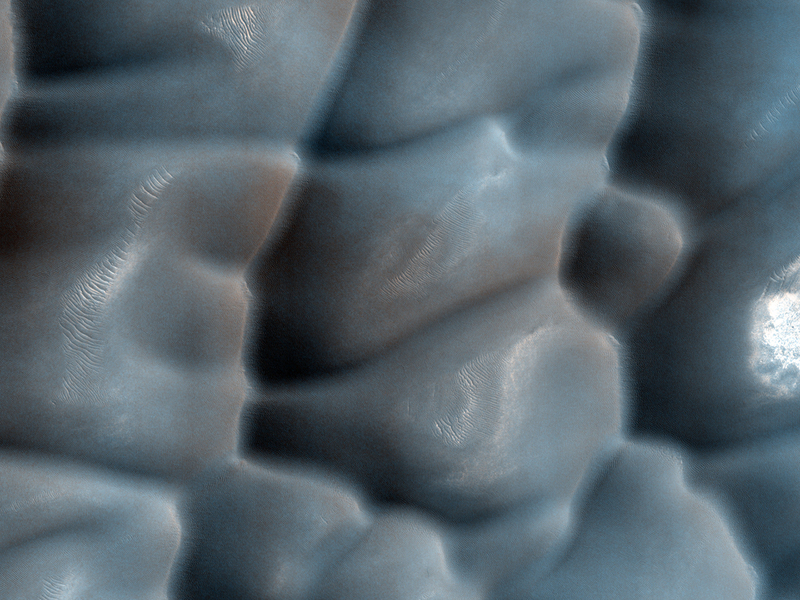 Near the crests of some dunes are channel-like features, with some branching downslope. 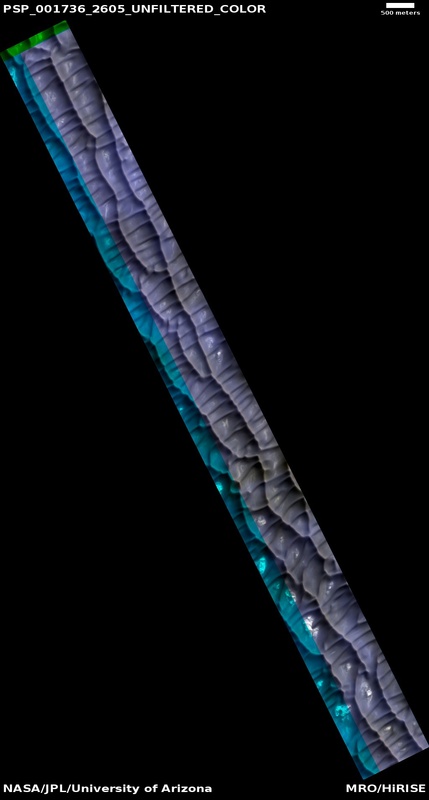 The origin of these channels is unknown, but they may result from the flow and displacement of sand that was fluidized by sublimating carbon dioxide or water frost. Bright patches of ground are found in some inter-dune areas, with many having a polygonal texture. Polygons on Earth form from contraction induced by stresses from dehydration, cooling, and other processes, so these features may have a similar origin. The CRISM instrument on MRO and OMEGA on Mars Express indicates that many dunes in Olympia Undae are rich in the mineral gypsum.